During the London Design Festival there were some incredible new design products on show that were innovative, imaginative and creative, played with materials and pushed ideas forward. This year I concentrated on lighting and new ideas to illuminate our rooms. 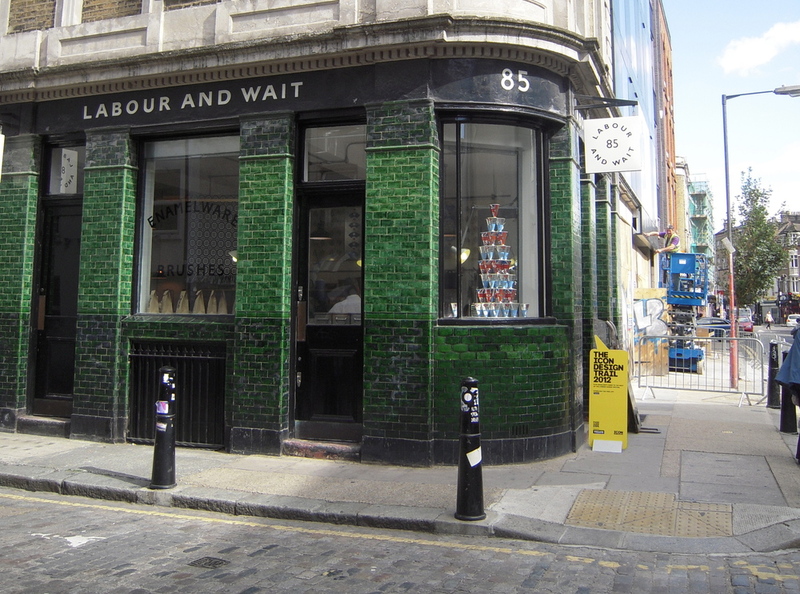 However, among all the innovative products I was charmed and delighted to see Labour and Wait on Redchurch Street. This shop sells all the things that were in old hardware stores, practical things to keep a home tidy, well organized and the vessels and spoons to measure and weigh liquids and dry goods. It was a treat to see all these very old design classics, so "classic" we don't even consider them much, just useful kind of stuff like bottle washers, wooden clothes pegs, ball of twine, a feather duster, measuring spoons, brushes. Store jars, galvanized buckets, bottles, brooms and dustpans all made of real materials, no plastic. And another staple Breton t-shirts and workers jackets from France. So classic they are taken for granted. A delightful visit during the week when London was celebrating all new design.